Review of the Cooler Master MasterBox K500L PC Case. The Cooler Master Masterbox K500L is a PC case expected to be somewhere before or between the Cooler Master Masterbox MB500, depending on what you want and can pay for. 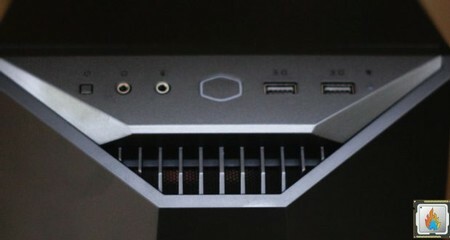 The comparison is made with the Masterbox MB500 because that's what it is. The main difference is the lack of additional features and different front panel design. There are also some minor differences such as the installation of the front panel I.O- beauty is in the eyes of the beholder. Cooler Master MasterBox K500L Case kaufen.